How to install TWRP on Lenovo A6000 / A6000 Plus – TWRP is something important enough for an Android users, especially for those who like to mess up their Android devices. By installing this TWRP on your Android devices you don’t need to worry when your phone gets something trouble once you mess it up or changing its system, because the users can back up the data and file via TWRP. If there will bootloop, error stuck on logo etc the users just need to restore it to the previous ROM. In this article we are going to discuss and install TWRP on Lenovo A6000 and Lenovo A6000 Plus. TWRP A6000 or TWRP A6000 Plus, these keywords have same point because installing TWRP on A6000 is same to A6000 Plus. 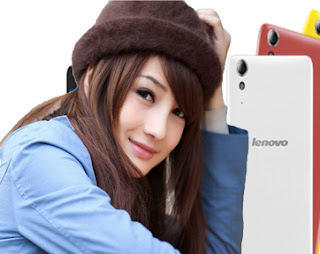 TWRP Lenovo A6000 has some or we can say many ways to install it. In this article we would like to focus to install it via Fastboot, but in the next article we should guide you via Rash application where you don’t need a PC to install TWRP on your Android phone. Download all file we’ve provided in this article! Got to Fastboot mode: press Power button + Volume down button simultaneously! Belum ada tanggapan untuk "The Best Method to Install TWRP Custom Recovery on Lenovo A6000 / A6000 Plus"